We provide better service and better prices than the Internet. We do the work for you and save you money. 7-night Cabo San Lucas package with roundtrip airfare from Sacramento, roundtrip transfers, 7 nights at Tesoro Los Cabos in the heart of Cabo San Lucas, and all meals and drinks included. 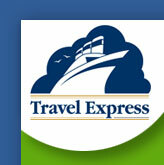 That’s a savings of over $600 for 2 people if booked with Travel Express. 7-night Waikiki package with non-stop, roundtrip airfare from Sacramento, roundtrip hotel transfers and 7 nights at Outrigger Reef on the Beach. To view some of our Specials, click here.